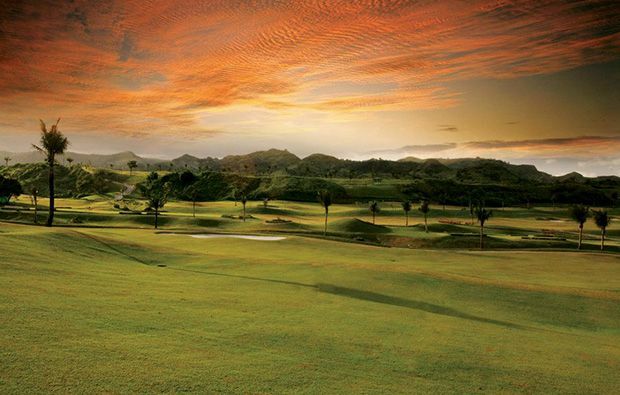 As the name suggests, Fontana and Apollon Korea Country Club has been created by Korean designers and is one of the most highly rated gold clubs in this region of the Philippines. 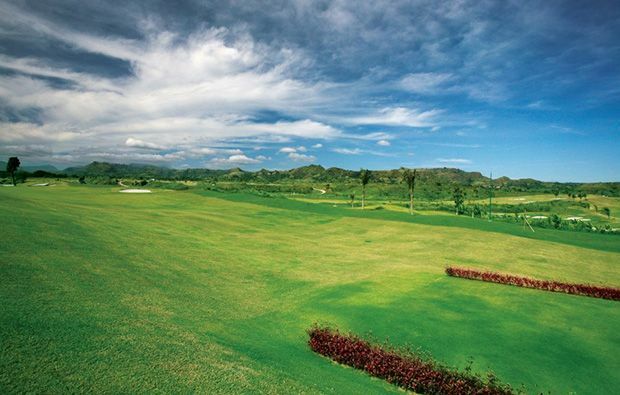 There is a choice, of two 18-hole championship golf courses to play, both of which are very well maintained. 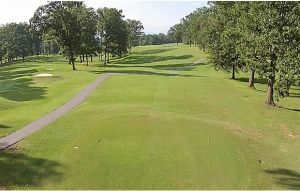 The location is fantastic and both golf courses are surrounded by hills covered in lush bushes and trees. Each course is par-72 and there is a choice options off the tee, including Red, White, Blue and Black. The black offer the greatest yardage, which is over 7,000 on both sets of 18 holes. 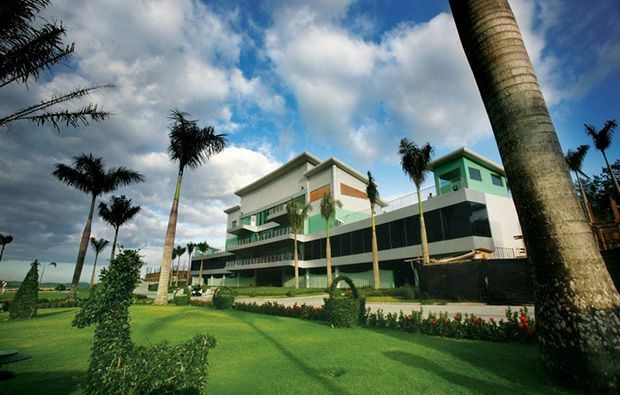 Official tournaments are held at Fontana and Apollon Korea Country Club every year and they also host international invitational tournaments. For much of the round, water does not seem to play much a part. However, the 9th hole forces players to hit an approach shot over a lake but this is nothing compared to what lies in wait on the 16th. The 16th hole is the signature hole and it really impresses. With water surrounding the entire hole, that’s both fairway and green, the 16th has been designed in the shape of Jeju Island, which is in Korea. Accuracy, as opposed to distance is the key on this hole, as there is little room for error, when trying to find the fairway and the green. The 18th hole also features water, which is present down the right side of the fairway. 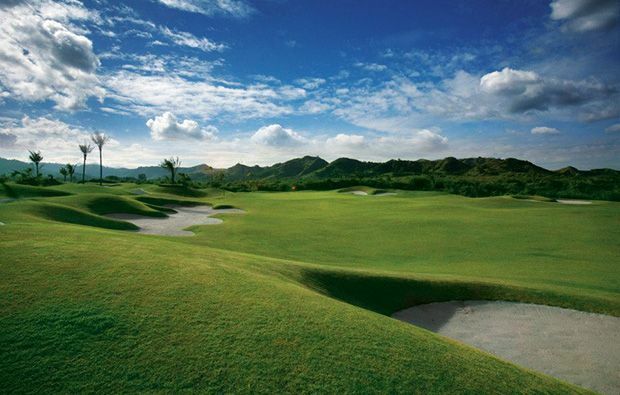 This hole also has its origins in Korea, as it is designed in the shape of the Korean national flag. The green is hidden from view on the tee shot. 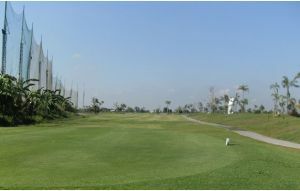 Fontana and Apollon Korea Country Club also features a par-28, nine-hole pitch and putt course, designed by Graham Marsh, which is very well maintained. 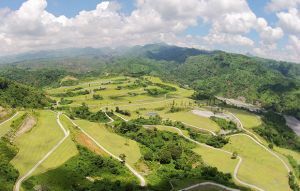 With a club house, restaurant and pro-shop, this is one golf course which should not be missed during a trip to the Philippines. FA Korea Golf Country Club has different Services to offer. Choose a date and number or players to see the rates.